of this for yourself or a special someone at Christmas. 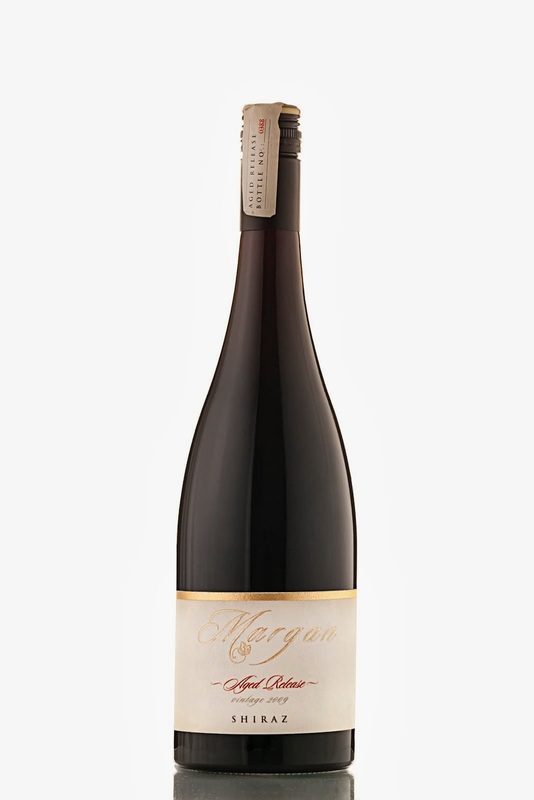 THE Hunter Valley's Margan Family Winegrowers have an enviable reputation for their Aged Release Shiraz, a drop that winemaker Andrew Margan sees as wonderfully rewarding for he and his team, and one that's equally rewarding for we as consumers. 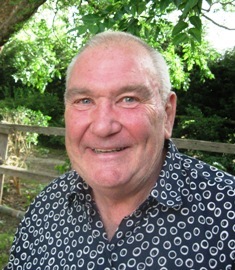 The reason is that Andrew only makes this wine in years of exceptional vintages, and his just-released 2009 was from one of those which he considers in the "outstanding" category – making this one a little unique as he did not make a Margan Aged Release Shiraz in years immediately on either side of his 2009, that is in neither 2008 nor 2010. Fruit for the 2009 came off 40 year old vines with a low half a tonne per acre yield, and with intense concentration of flavour: while typical Shiraz dark fruits (blackberries through to plum) and a peppery spiciness are to the fore, this a not overly-full-bodied Shiraz but rather nicely medium-bodied with a mild savouriness about it and fine tannin. over this one from the Canberra District. ONE TO NOTE: SHAW Vineyard Estate at Murrumbateman in the Canberra District is another to release a great drop from a great vintage, their 2013 Estate Riesling that company CEO Graeme Shaw says is the result of "near perfect conditions" after three previous years of cool, wet and difficult times. Those good conditions gave fruit of full-flavour that's reflected in this wine that has a typical Riesling crispness that the Canberra District is well-known for – and lovely intense flavours of guava and cumquat coupled with beautifully balanced acidity. At $25 it's a wine that's got "love me with the seafood" written all over it. created for that very special occasion. IT'S not every day we've the chance to enjoy a $200 wine, but just such an opportunity came our way a couple of weeks back when we shared a bottle of 2012 Best's Thomson Family Shiraz from Best's Wines at Great Western, in the Grampians north-west of Melbourne. And what a WOW factor it turned out to have: made from fruit hand-harvested off just fifteen rows of some of the oldest, most-gnarled Shiraz vines in Australia, having been planted by Henry Best a-near 150 years ago in 1867, it has an almost explosive bouquet of dark fruits, bitter chocolate, dried flowers and intense white pepper. Savour these with a swirl of the glass, and then be wonderfully seduced on the palate with mouth-filling, yet quite mellow, fragrant dark fruit flavours, and delightful tannins… just perfect with roast suckling pig on a spit, fresh garden veggies and a rich gravy. The Thomson family who bought the winery from Henry Best in 1920 are now "5th generation custodians" of Best's vineyards and made the first Best's Thomson Family Shiraz in 1992 to celebrate 100 years of the Thomson's settling in Best Western; they've made just twelve since from a dozen particularly outstanding quality vintages. A very special wine for a very special occasion, the more so with 5-20 years cellaring. ONE TO NOTE: IF you've carpaccio of Tasmanian salmon on the menu as a starter for that next dinner party, a great drop to offer it with is a Bay of Fires Tasmanian Cuvee Rosé – particularly as it's from the salmon's home State and priced so nicely at $29.99. Made from highest-quality fruit sourced from across Tasmania's four major viticultural regions, this is a great cool climate bubbly with loads of red berry fruit flavours, earthy mushrooms and crisp acidity; the creamy mouth-feel making it ideal with that carpaccio of Tasmanian salmon, that winemakers Ed Carr and Peter Dredge suggest be best served with a white wine vinaigrette, capers and chervil. THE NSW Southern Highlands is considered one of Australia's newest wine regions, yet the first wine grapes were in fact grown there by surgeon, explorer and settler Dr Charles Throsby at his property, Throsby Park in Moss Vale way back in the 1820s, most likely for making into small quantities of fortifieds that were popular at the time. But it took another 160 years before the region was recognised for its potential for producing exceptional cool climate wines, with a couple of vineyards planted in the 1980s and followed by more from the 1990s. Today there are 60 vineyards across the Southern Highlands and some 15 cellar doors at which to enjoy their product. 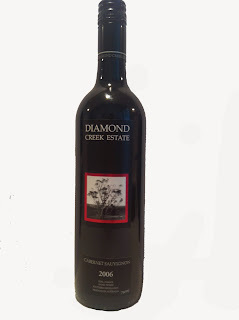 One really worthy of a visit on a trip down that way – and it's just over 100km south of Sydney – is Diamond Creek Estate that planted 7ha of vines at Mittagong in 1997, today hand-picking these and having its wines made under contract by local wineries. or all manner of seafoods. Particularly rewarding is their 2006 Cabernet Sauvignon that has wonderfully intense blackcurrant and cassis on the palate, and a hint of mint. Surprisingly its just $22 a bottle cellar door or $264 a dozen plus freight (free within the Highlands, around $20 NSW, elsewhere TBA) and a great drop with crumbed lamb cutlets and garlic potatoes. For details or to order go onto www.diamondcreekestate.com.au, or if you'd like to have a chat about this and their other reds and their whites, call them on (02) 4872 3311. ONE TO NOTE: WESTERN Australia's cool maritime Margaret River is undoubtedly our most-prolific region for stand-out Sauvignon Blanc Semillon, and Voyager Estate's 2013 is an interestingly sophisticated, yet easy drinking example of this popular blend. With 55% Sauvignon Blanc and 45% Semillon picked from across fourteen vineyard blocks, all fruit was harvested in a record eight days after an almost-bizarre weather pattern that saw the driest July on record, good Spring rains, November storms and a hot summer. But the result is a classic drop with vibrant fresh and crunchy tropical and citrus fruit flavours; at $24 perfect with Thai Chicken Curry, or all manner of seafoods. the whole spectrum of seafoods. 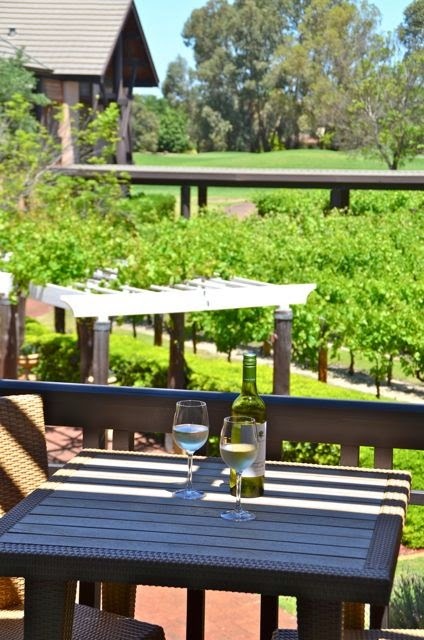 THE Adelaide Hills region has an enviable reputation for producing many of Australia's finest Sauvignon Blancs, and local maker Chain of Ponds has released a 2012 under their First Lady label that proved an absolute winner when matched at a mate's birthday bash with simply-done barbecued Tasmanian salmon. With loads of varietal tropical fruit, citrus zest and green apple flavours, plus savoury French oak from fermentation in new and one year old wood, this one also has a nice lively acidity to enjoy now – or even more-so with a couple more years in the cellar. The Chain of Ponds name, by the way, has an interesting talking-point history to it: originally named Philptown in 1850 after the founding publican, Oliver Philp of the Morning Star Hotel, it was later changed to Chain of Ponds in 1864 in recognition of a nearby string of ponds that never dried up, even in the driest and hottest summers. In 1918 the Milbrook Reservoir was built next to the village to supply Adelaide, and people in that city expressed such grave concerns their water supply would be polluted by the village being on the edge of their reservoir, that in 1970 the State Government decided to buy and demolish every building in Chain of Ponds, doing so by 1981. At $35 this Chain or Ponds First Lady is a great Sauvignon Blanc to truly enjoy with the whole spectrum of seafoods, including as we did with that barbecued Tassie salmon. ONE TO NOTE: A SHIRAZ from the Hunter Valley really lives up to its name as a little gem – the Little Wine Company's 2011 Little Gem Shiraz being crafted from fruit hand-picked from both low-yielding vines and one of the best red vintages in years. The fourth Little Gem Shiraz to be released since 2006 (there was no 2007 or 2008,) Ian Little is well justified in describing this one as "the best we've made so far," and reflecting as he says a real generosity of fruit – predominantly cassis and dark berries – from that great vintage. Certainly excellent-value buying at $35, you'll find it a superb companion with osso bucco or a home-made chunky lamb and rosemary pie. THE 2013 vintage proved another classic year for white grapes in WA's Margaret River, and for one local maker, Forester Estate it's resulted in a range of equally classic whites – amongst them a really outstanding 2013 Semillon Sauvignon Blanc. February gave plenty of days during this warmest period of vintage for fruit to ripen exactly as the winemaking team wanted, helping result in that Semillon Sauvignon Blanc with its refreshing palate of passionfruit, lychee and citrus fruit flavours, and a touch of thyme – and equally reflected in wonderfully matching aromas from the glass. Fruit was sourced from several neighbouring properties in the Margaret River's Yallingup northern sub-region, predominantly Semillon (53%) and Sauvignon Blanc (45%,) with a small 2% Chardonnay in the blend as well; a rewarding drop at $23.99 to enjoy with seafoods and a broad range of other lighter dining options. 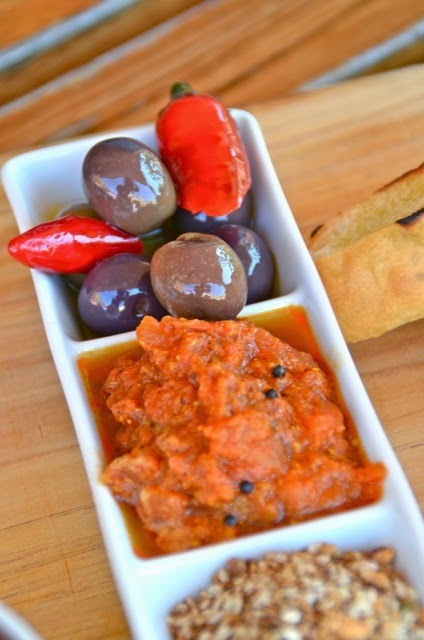 to enjoy with Mediterranean pizzas. ONE TO NOTE: SPANISH sparkling winemaker, Freixenet that makes more sparkling wines than any other maker in the world, and makes and bottles here in Australia on the Victorian side of the Murray River under the Azahara label, has branched out into the production of Australian still wines. With a large mixed-farm property producing avocados, mangoes, citrus and grapes, Azahara (its Spanish for orange blossom) has just released a 2013 Pinot Grigio and a 2013 Shiraz, each selling for a modest $15 and which winemaker, Dr Phil Spillman says he's "fashioned to partner bright, fresh dishes... while showcasing the character of the farm property and the Spanish heritage of the owners." We particularly liked the Shiraz that has nicely distinctive black fruits and typically Shiraz black pepper on the palate, and with a medium body and soft tannins is an easy-drinking style. Think Spain, and enjoy with a Mediterranean pizza topped with tomato puree, grated Mozzarella, semi-dried tomatoes, Kalamata olives, yellow capsicums, a little crumbled goats cheese, artichoke hearts, black pepper and torn fresh basil leaves.